Contains 1x hat, 1x socks and 1x mittens. Hat features cat face and 3D ears. 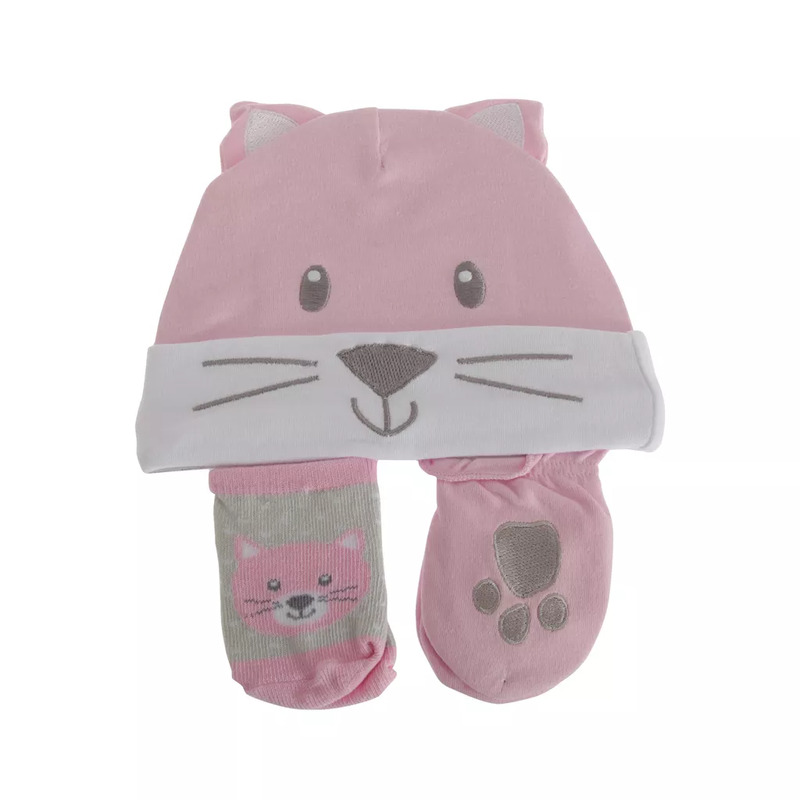 Elasticated cuff on socks and mittens. Perfect for any baby girl. Material (Socks): 77% Cotton, 21% Polyester, 2% Spandex.